For those of you who could sneak out of work and capture some Utah Powder, I am jealous. I hope it was awesome. Every time I look from my office window and see the snow going sideways, I think of this magnificent winter song by Matt Pond PA.
It’s funny how 18 inches of snow can destroy a community — especially a mountain community. People are pissed. Why aren’t our roads plowed better? Why is traffic so bad? Why wasn’t school closed? Why am I the only one who can drive? Where did the idiots come from? Where are the snow plows? I get it. I could barely snow blow my driveway this morning (the most snow in 3 years). My kid’s school bus never came. My dog chewed through her leash because she was tired of waiting for the school bus. My other kid’s daycare had blocked off the parking lot because people would get stuck. It’s a bit of a mess. However, you are what you make of situations like these. My neighbor ended up driving my kid to school (thank you). The teachers at my daycare started driving up from SLC at 6:30 AM to make sure they were there on time (thank you). My wife left early for work, knowing traffic would be bad. I got my kid to daycare 30 minutes late, but he got there. I started work late, but it is what it is. Park City isn’t South Beach. Winters shouldn’t be easy. Days like today are few and far between, but they happen. I personally wish they would happen more often. That’s one of the things that makes this place interesting. Park City isn’t all Sundance, Vail, and unicorns. Or perhaps, I like days like today, because it reminds me that it doesn’t have to be that way. What I’d hope for is a little more patience. We’re all in this together. That’s the fabric I would hope would be sewn into Park City’s ever-changing DNA. For those unaware, I ran for Summit County Council as a write-in candidate. In the end, I received 1,159 write-in votes — which exceeded my wildest expectations. Unfortunately, with an 80% turnout, I would have needed at least 7,000 more people to write me in to have had a chance. In the end, incumbent Glenn Wright won the election. I’m sure he’ll do a fine job. His dedication to the environment will serve us well over his four-year term. The next election for County Council is in two years. If any readers are considering running, now is the time to start planning. If you’d like to talk, I’d be happy to share what I’ve learned. With that… back to work. A lot is going in Summit County and Park City. Don’t begin construction at 8:00 AM, when everyone is going to school. Don’t block off the main road out of Jeremy at 7:45 AM. Perhaps workers should use STOP and SLOW signs to direct traffic, you know like you see in every other road construction project, instead of whatever little, red flags they seem to wave in every direction at all times. The construction company may want to take out extra insurance. From the looks of what almost happened to two bikers who were almost hit today (both with kids), they are going to need it. If the construction company is going to install stop signs, they may want either use them or take them out. Using them one day and then not for a few days is kind of confusing. Your employees may not want to yell at drivers who are frustrated by the fact that you keep people stopped for ten minutes while you let other traffic continually go by. Summit County may need to get someone to manage this group of construction workers. Every day we think we have heard or seen the worst, but now we only expect it to get more depressing. Maybe work should be done at night, you know, when there is no traffic. Summit County, please don’t let this construction company work on the roundabouts next spring, summer, and fall. That would be a disaster to the 10th power. … and for everyone who has to bike or drive this road every day: pray it’s done before December. Hi, I’m Josh Mann and I write most of the Park Rag. I’m running as a write-in candidate for Summit County Seat E. If you enjoy what you read here, consider writing my name in this November. I want to bring the same energy, logic, and critical view to the Summit County Council that you read here. More information on my platform can be found on my website. As many of you know, I am running a write-in campaign for Summit County Council. I want to show the type of information that the County Council should be providing. Therefore I have created the inaugural Bull Moose Newsletter. It’s not as good and detailed as I will eventually make it… but you have to start somewhere. Each week I’ll be providing an overview of what has happened, what’s in progress, and what’s going to happen if we don’t all get involved. So, if you are interested, here is a link to the first edition. If you would like to get the newsletter via email, you can sign up here. We don’t have too many dramas in Summit County and the Snyderville Basin. However, changes to Kilby Road, which runs in front of Pinebrook to the Whole Foods is shaping up to be a doozy. Therefore we’ve decided to call this issue Kilby-Gate. 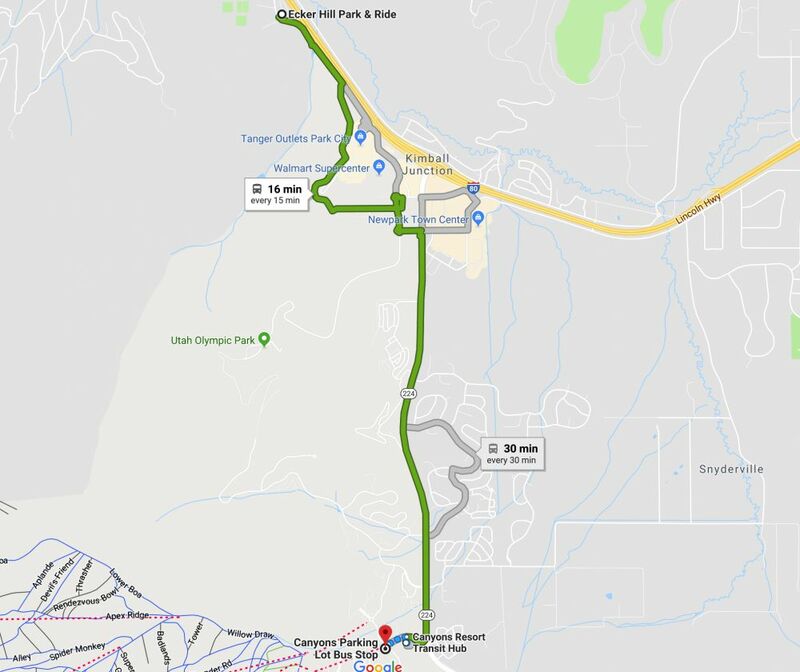 For those who haven’t been following the story, Summit County wanted to put in a Park and Ride across from Ecker Hill Middle School. Residents were worried about traffic coming off I-80 and speeding down the frontage road (Kilby Rd). The County listened and worked to mitigate the issue. They ended up building an unusual road with lots of curves, which is designed to “calm” the traffic. It’s a known and standard principle, so it’s not out in left field. However, one could argue that it was taken to an extreme with Kilby. Once the asphalt had dried, residents became enraged at the road design. Social media exploded with people questioning how the design was approved. I was at meetings where people berated the Public Works Director for building the road. Yet that was before paint was even put on the asphalt to designate lanes. Typically issues like this rise and abate quickly. Attention spans are short. However, this one seems to have staying power. People are now flying drones over Kilby Road to show how cars are driving into the bicycles lanes. Worse, it allegedly shows that Park City Transit Buses are driving into the bike lanes. That’s not good. What it tells the public is that even professional drivers have problems with the course. I for one love the new bike lanes on the road. However, if a Park City Transit bus takes me out on my e-bike I probably won’t be so enthused. I tried to look back to see how much communication there has been about this road. It seems the County tried to do an innovative design and it hasn’t been well received. I found that there was a meet and greet in March about the road. That was a full 4 months before construction began! Why weren’t people up in arms then? Why didn’t they jump all over the design months before it began? It’s because the lead was buried. I think too often our government leaders don’t want to anticipate criticism for fear of driving further criticism. They don’t want to say, “Hey we made a road that is really different to slow cars down… but you may not like it… so we wanted to check with the community first before we started.” It’s human nature after you have worked years on a project to just want to get it done. You don’t want to hear the negativity. You don’t want to think about starting over. It’s hard. I think if Summit County had looked at this project, realized it was a major change, and worked from the position that most people are going to freak-out, they would have been better off. If Summit County had ensured that the Park Record headline was “Kilby Road is going to be VERY DIFFERENT. You Better check it out. Speak now or forever hold your peace,” it may have got people motivated to look at the design and provide feedback when it mattered. But that is the past. That ship has sailed. What we as residents should now be focused on are the roundabouts coming next year to Pinebrook and Jeremy. The County should be coming out right now and explaining everything they can possibly think of that you won’t like. The roundabouts have a UDOT component which makes them even tougher to have control over. How are your kids going to walk through the roundabout or will there be tunnels for all anticipated paths? How many cars do they anticipate will be backed up, coming from Salt Lake City at peak times? How are your kids going to bike through the roundabout? How is your 7 year old kid who lives in Pinebrook going to traverse two roundabouts on her bike to get to Jeremy Ranch Elementary? How long should you expect to wait at the roundabout to be able to enter and head the direction you was to go? What is acceptable per the plan? When will construction begin and when will it end? Will construction happen during school hours? Are the roundabouts balanced (i.e. there is equal traffic from all directions), so that it maintains proper traffic flow? How many lanes will there be within the roundabout? How will this impact traffic going to Jeremy Ranch Elementary? If you don’t know the answer to all these questions, or other questions you have, you should reach out to Summit County. You should force them to answer the tough questions because now is the time you can affect outcomes. Change is EXTREMELY HARD once the asphalt is down.
. Ask her the questions you have. She can then let our County Manager know the concerns and he can find ways to solicit further opinions. Kilby-Gate isn’t going away. This winter, expect a flood of social media on the trial and tribulations of winter-navigation of Kilby Road. However, that’s in the past to a large degree. Let’s try to prevent the future conversations over the upcoming roundabouts that we’ll be living with forever. I’m excited to formally announce that I am running an unaffiliated write-in bid for Summit County Council Seat E.
The tipping point for running was that there are seven positions up for election in Summit County and all races are unopposed. That’s not how it should be. Elections are a time when we should be debating ideas. We should be talking about how things are going and what we need to do better. I’m running as a write-in candidate which means that my name won’t be on the ballot. If you like my ideas, you’d need to write my name in. I know that’s hard. It’s an uphill battle to actually win. In this case, though, the journey really is the destination. I want to win, but if I don’t, I want to know how to help a field of unaffiliated candidates run in the 2020 election with their names on the ballot. We need choice in Summit County. In my mind, this is the first step to better elections. That said, I am not happy with how things are going in Summit County. We need change. So, I am running THIS YEAR for a number of specific reasons. I’d love for you to check out my website at www.joshmann.com for details. Here are the highlights of what I am hoping to accomplish if elected to Summit County Council Seat E.
I don’t believe the County Council communicates well with the public. Instead, many people are blindsided with developments that happen across Summit County. They are left wondering how developments like Kilby Road happen. They wonder how buildings pop up out of nowhere. The truth is that those decisions were made years before and by the time the paint has tried, it’s way too late to change things. I believe we can communicate using a blend of old and new methods. I want to meet you at coffee shops and diners across Summit County on Saturday and Sunday mornings to listen to you, to tell you what’s happening, to explain what I know. I want to hold online chats every week after our kids go to bed — so you can actually attend then. I want to ask you what’s important during those chats and enable you to easily ask questions. I want to provide a weekly newsletter of what decisions were made and what decisions are coming up with the County Council and Planning Commission. I want to make it easy for you to affect change. I want you to be able to drop by my porch and chat or invite me over to speak with you and your neighbors over dinner. There’s a lot of issues in Summit County and working through them starts with better communication with your County Council. I believe I can make that better. I’m for low growth. I want a smart approach to development that ensures tomorrow’s Summit County will be as good as today’s. Open space is one of the great facets of the County; however, we’re letting it slip away. It is true that there is a lot of entitled lands where development rights are granted. Yet, the Summit County Council is making decisions that exacerbate the loss of open space. For example, there is land between Jeremy Ranch Elementary School and Burt Brothers where the County Council has discussed destroying the open space and building 600 to 1,000 apartments. It’s called the Cline Dahle Parcel. My chief concerns with erecting 600-1,000 apartments on the land are student safety due to the amount of traffic, the loss of open space, and questions about where the additional water will come from for that development. In a case of a development like this, what also happens to our schools? The County Council can’t talk formally about this, but I can right now. My guess is it would add 400-800 students district-wide. Where do they go? If half of those are elementary school kids, that would mean adding 200-400 additional kids to Jeremy Ranch Elementary — which is already full. It couldn’t support that. We’d have to add on to Jeremy Ranch, shift school borders dramatically which would affect hundreds of kids and their friends, or build a completely new elementary school. I’d rather the School District spend that money on tearing Treasure Mountain Junior High and build a needed school where kids can actually walk down the hall without bumping into other kids. What I don’t want is the County Council to make a rash move that takes away from open space, endangers kids, takes away water from residents, and then negatively impacts schools. Yet, that is where we are heading. A similar reduction of open space could happen on the proposed Marketplace Commons on Highway 40. Marketplace Commons includes one hundred seventy-eight residential units, a hundred thousand square feet of commercial space, and five hundred parking spaces. It would likely include a hotel, grocery store, and drug store according to the developer. It is the definition of urban sprawl and it’s being considered in anticipation of growth that may come. What it would ensure is that we begin the building of a strip-mall down Highway 40. I want to questions these things. I don’t want to allow something to be built in anticipation of what we think things will be like in 20 years. We see where that has gotten us to date. We need to slow down and make good decisions. The old adage is that everyone is for buses because they hope everyone else will ride them. I believe Park City and Summit County push buses because they have some hope that everyone will ride them. I think that is extremely wishful thinking and wasteful. In some areas, and at some times, buses work great (Park Meadows, 4th of July, Sundance, etc.). Yet, many of the times I pass buses, they are nearly empty. An empty electric bus is worse for the environment than no bus. I don’t believe we are a people of buses. We live here because of the outdoors. We live here because of our trails. I’d like to see a different focus from Summit County with regard to transportation. I’d like to see us take advantage of our paved trails more and make our busses more usage based. I would like our roads and paved-trails designed in a way to make biking a primary form of transportation. To that end, I want the County Council to organize a group-buy of e-bikes so that more residents can experience how fun it is and how these bikes can transform our commutes. It really is magical. I also want to find ways to pair our buses with usage. Many people love the idea of riding the bus to the resorts for skiing but are they going to load the car with ski equipment, drive to a park and ride 5 minutes away, unload their car, wait for the bus, load their gear on the bus, spend 10 minutes more on the bus than they would have in the car, and then arrive at the resort? Probably not. We need to find ways to get buses into the neighborhoods on weekends during ski season. Could we rent school buses from the school district on the weekends and have those go into the neighborhoods? Could we repurpose the Kimball Junction Circulator? Is there some other way? In my perfect world, we’d expand our paved trails. We’d find a way to put e-bicycles in the hands of as many people as possible. We’d design our roads and trails so they are safe for riders. Our busses would go into the neighborhoods to provide an easy way to maximize usage. We’d cut back on bus service where it doesn’t make sense. Over the last 10 years, our population has risen by 16%. Over that same period, our Summit County budget has risen over 95%. The question is whether that growth in spending is sustainable. At some point, taxes will need to be raised, on top of all the other taxes increased top continue this trend. That’s on top of the extra taxes you are paying because your property is valued more. I believe we need to take a step back and talk about NEEDS versus WANTS. We need to make sure our money is being used wisely. I view the County Council position as a service to the community, but the current rules dictate that a County Council person makes about $40,000 per year. My wife and I are fortunate enough to have jobs that provide well enough so that we can take care of our family without the salary of the County Council position. So, if elected, I will donate my first two years salary to the Children’s Justice Center, Park City Educational Foundation, North Summit High School, and South Summit High School. In years 3 and 4, if nothing changes for my family, I’ll donate the salary again. I think those organizations could use that money. To wrap it up, thanks for reading this far. We have a lot of challenges in front of us. I don’t proclaim to have all the answers but I do promise to do my best. I also promise to bring both a critical and innovative eye to our problems. As important, I promise to find ways to make it easy to hear you and respond. Oh, and for the kind soul who asked what would happen to the Park Rag if by some chance I would win, you should expect it to carry on. Just like Dread Pirate Roberts in the Princess Bride, I believe another Dread Pirate Roberts would step up and want to steer the ship. Note: The physical Park Record newspaper article announcing my candidacy on 9/12 states that I am a “Republican Challenger.” That is incorrect. I am an unaffiliated candidate. I am in the middle — like most of you. I am working with the Park Record to correct this. Fox 13 in Salt Lake is reporting that Park City Assistant City Attorney Polly Samuels McLean was arrested on September 6. She allegedly damaged more than $1,500 in hunting equipment and caused more than $500 in additional damages according to the report. She is facing felony theft charges, as well a misdemeanor criminal mischief charges. The story says that after multiple cases of hunting equipment, vehicles, and other property being damaged, hunters started getting fed up. In this case, Ms McLean was allegedly recorded on a trail camera. This picture was then circulated across a Facebook group with 10,000 members. The person was identified as Ms. McLean, along with husband Andrew McLean. Fox 13 reached out to Park City Municipal who said that Ms McLean reported the arrest to them on Friday, that the city will continue to follow policy, and they have no further comment. KPCW is reporting that Park City’s new Transit System’s Manager, Barbara Murdock, was let go from her last position for allegedly using company funds inappropriately. Ms. Murdoch has, in turn, sued her former employer (Birmingham-Jefferson County Transit Authority) stating gender discrimination and they didn’t communicate reasons for her termination. What we don’t understand is how Park City hired someone with an uncertain (and possibly checkered) past for this position. In my own line of work, software development, we do a background check on every employee we want to hire. Our shop wouldn’t touch someone with a potential issue like this. We’re not sure why a prized jewel like Park City would take the risk. Perhaps Park City Municipal asked to see her utility bills to confirm she didn’t use a company credit card to pay bills. Perhaps they asked to see her checking account statement to ensure she didn’t receive expense reimbursement for moving to Birmingham (since she had been there for a few years). Better yet, maybe she is so fabulous that the risk is worth it. It just seems like Park City is taking a huge chance. What we do know is that if Ms. Murdoch is charged with a crime in Alabama, she needs to be let go. Possibly if Ms Murdoch loses her civil case against the BJCTA, she should be let go. Either way, if one of those things happens, it should cast doubt on the decision making process of Park City Municipal. Please don’t take this as a personal attack on Ms. Murdoch. I don’t know her. She may be a great person. The charges against her may be contrived, as she claims. However, please do take this as a BIG QUESTION for Park City. There have to be countless professionals, skilled in transit, who would love to come to a place where transit is so important that buses are free. It’s odd that the city would pick someone that has questions surrounding her. It’s odd that Park City would choose someone that sued their previous employer. Weird stuff happens here and we are not quite sure why. This is another example of it. We’re reaching out to the Alabama Attorney General Steve Marshall’s office to understand how we follow this case. We’ll report back as we find information.